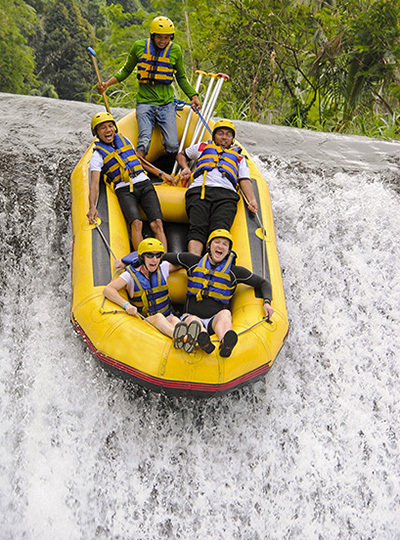 The Telaga Waja Rafting adventure starts with an air-conditioned coach pick-up from your hotel or villa. A scenic ride through Bali’s beautiful countryside takes you to the starting point in the village of Muncan in Karangasem, which is in northeast Bali. Once there you will be divided into groups of no more than 4 people. 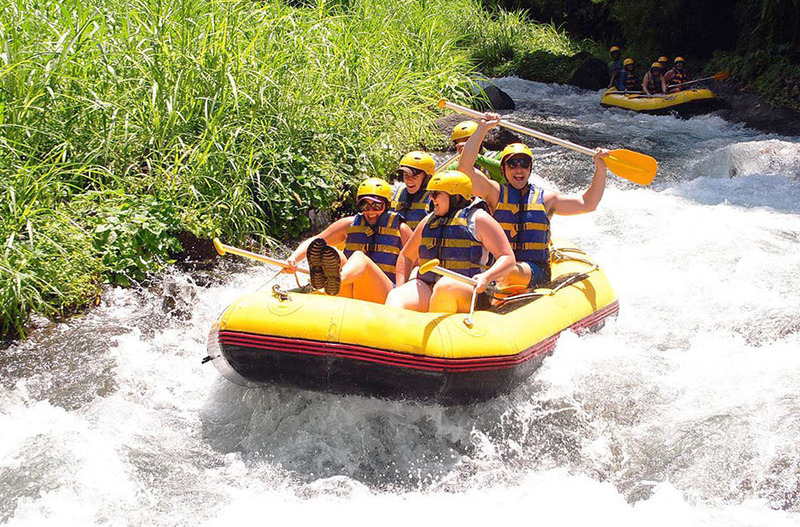 Then your guide will hand out the rafting equipment for the day – helmets, life jackets and paddle. 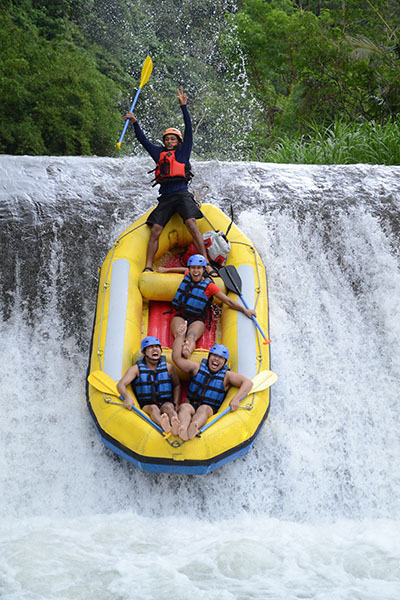 Expert river guides and modern safety equipment ensures that the day is fun and safe for all the family. During the journey we are accompanied by guides who are experts in terms of maneuvere raft. The guide will also tell you about local Balinese lifestyle and local flora and fauna on the Telaga Waja River Valley. Photographers follow the adventure, documenting the event as you go along. At the departure point the photos are on display to view and purchase if you desire. After the exhilarating experience you can shower and freshen up in the amenities area and change into dry clothes. After that we will enjoy a delicious local food at the Balinese Bamboo Restaurant while you take in the panoramic views. At around 1.30 pm it’s time to return to your hotel or villa. what to bring: sport shoes, a change of clothes and sunblock and if you use glasses please ask the staff to help keep them secure with specific holders.